Recently I started to go through my Steam library to check out the games that I never played before. If you are like me, you probably purchased tons of game bundles when they contained games you definitely wanted to play. But often the bundles also contain indie games that I don’t know, but recently I am more open to check them out. This is what happened when I found the game Tharsis in my Steam library. I have no idea where I got it from, I most likely got it from a game bundle. I like science fiction, and a short look at the Steam store page of the game revealed that it’s basically a science fiction game and I became curious. I installed the game and started it without knowing anything about the game. I went through the well made tutorial and started to grasp the game concept. Tharsis is basically a turn-based space strategy and a dice game, but you could also say it’s a space survival game. 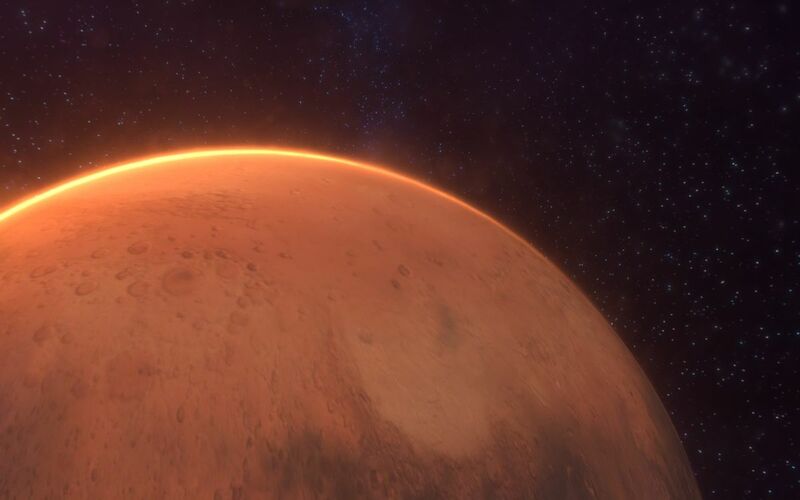 You have a spacecraft consisting of different modules, you have your crew and your mission is to get to Mars where there is a mysterious signal coming from the Tharsis region. What could go wrong you say? A lot! With each turn you get obstacles in your way that you need to solve, and the closer you get to Mars, the more difficult they become. For example, modules of your ship will get damaged and if you don’t fix the issues early enough, your ship hull takes damage until the whole ship will be destroyed. The health of your crew can suffer during tasks and of course your crew does also need food. Each module of your ship has a function, and every crew member is different and has special abilities as well. You have a doctor, a mechanic, a specialist and the captain. They all have a health bar, a stress bar and slots of maximum of five dice. The dice slots can be replenished by giving your crew food after each turn, but there is also a module where you can regain dice. Food can be produced in the green house module and there is a medical bay for health recovery and a couple of other modules with as important features. Now when one of the seven modules is damaged, you need to send a crew member to fix the issue, and maybe even a second one if the first one couldn’t do it. A module can have for example 21 damage, less or even more, and when you send a crew member to repair it, you have to roll the amount of dice the crew member has, and the more the better. You want to use big numbers like a six to reduce the damage, but you can also collect six dice in a research project to get extra abilities that will help you on the journey. You might think that you can just use the dice to reduce the damage in modules, and I thought that too at first, but you will have to use your dice in different ways to overcome all the obstacles that might happen during the space journey. It’s a bit difficult to write a review about the game because there are many factors to survive and to get to the end of the game. It must be said, once you got to the end of the game, you realize that the game doesn’t offer a lot of content. However, the game is very difficult and you don’t get to the end right away. I played through it on easy mode and even then it took me hours and several tries to get through the game. I did also try medium and the difficult mode and wondered how it would be possible to beat the game, but I don’t give up on this challenge and will try it again. I hope I described the basics of the game well. If you have it in your library, install the game and play through it. It’s a nice mini game that can be fun for a bit of time. If you don’t own the game, I wouldn’t suggest to get the game at full price, because if your risk management worked out well in the game and if you additionally had enough luck, you will get through the game in no time. What might add some play hours is the only fact that the dice-based concept can increase the difficulty to get to the end. If you want to get the game, do either wait for a deal or wait until it’s in a bundle again, because I think that might regularly happen. Tharsis is refreshing and interesting, but it doesn’t justify the full price, and I think the game would have had more potential. I hope you enjoyed the article! If so, please share it for me!